Fifteen ports later, the Code of Conduct road show has rolled to a close. Seafood New Zealand’s Tim Pankhurst and Lesley Hamilton along with Fisheries Inshore New Zealand’s Jeremy Helson have presented to fishermen and women at Nelson, Greymouth, New Plymouth, Tauranga, Whitianga, Auckland, Leigh, Gisborne, Timaru, Lyttleton, Mangonui, Whangarei, Port Chalmers, Bluff and Hawke’s Bay. While some would argue that it is only those already doing best practise who will turn up to hear about an industry-wide code of conduct the reaction, without exception, was heartening. The presenters were left with a real sense of widespread intention to ‘do the right thing’ and an enthusiasm to continue to improve and evolve as an industry. What was also apparent was a sense of isolation in some of these communities – fishermen feeling out of touch with the political and corporate side of a multi-billion dollar industry. There was frustration that decisions were being made in boardrooms that they were deeply affected by but not part of. This is understandable. The industry is in the midst of major change. The political environment has changed, with a new minister, a new public service structure in the form of Fisheries New Zealand and the environmental changes that may arise with the Green Party being in Government. Calls, subsequently dismissed by the new minister, for a total review of the QMS, electronic monitoring and cameras on vessels all manifest themselves in a tangible way to the flat fisher in the Kaipara Harbour or the longliner in Leigh. While there are various industry publications that are designed to inform, the opportunity to ask questions of those involved is a valuable one. 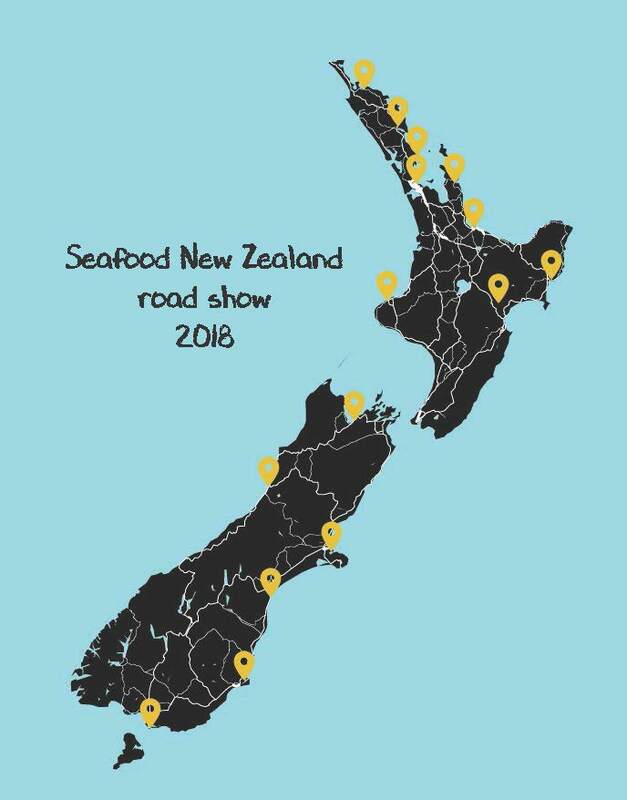 To that end, Seafood New Zealand intends to continue the road show annually in a similar form in order to better inform those who are on the front line on decisions being made that affect them.